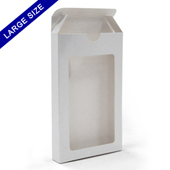 Perfect for storing your large size playing cards, the durable white tuck box will keep your cards safe from bends and tears. 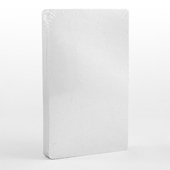 It is the ideal size for storing large cards used for home-made flash cards or cards you design through our services. 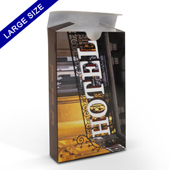 Keep your artwork safe with this top constructed tuck box.